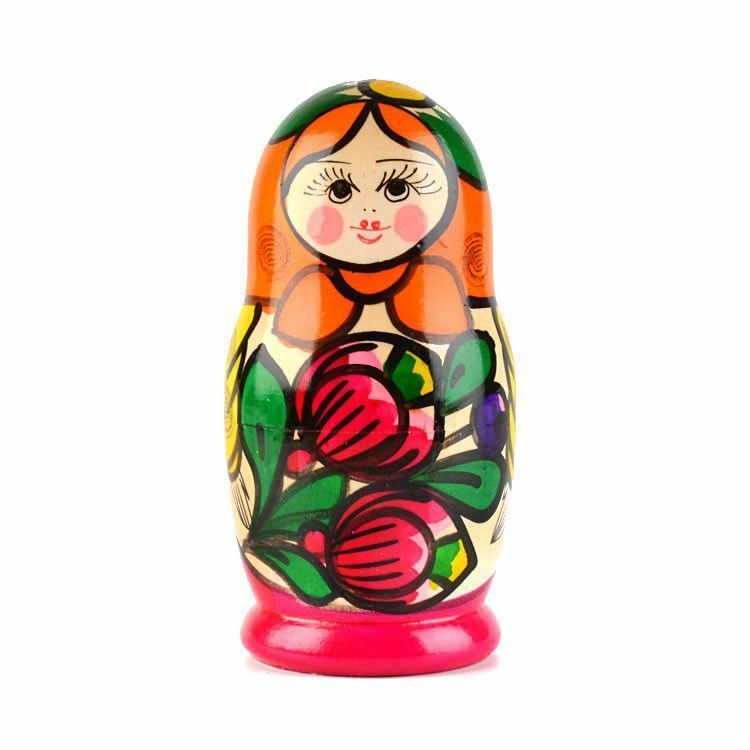 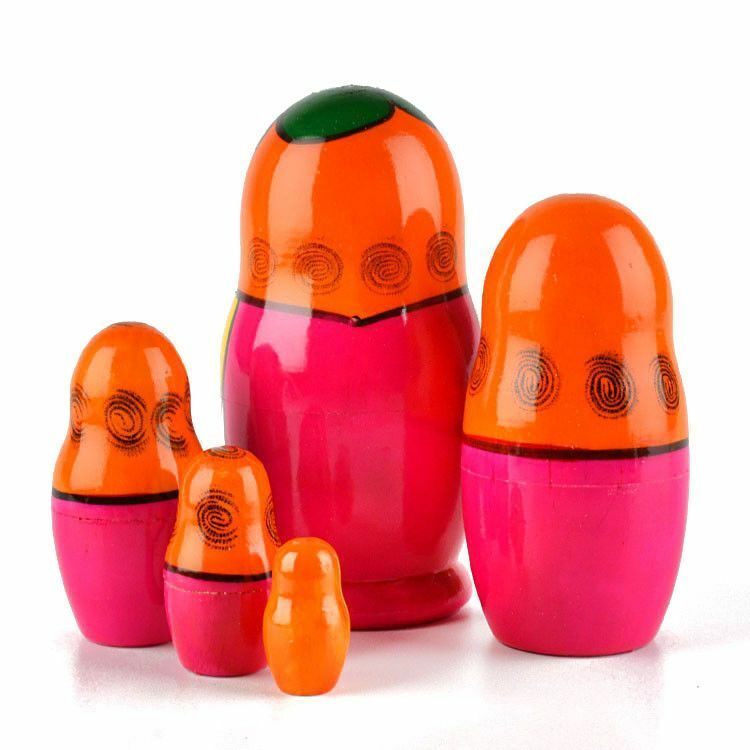 This flower maiden matryoshka features mainly orange and pick colors with black outlines. 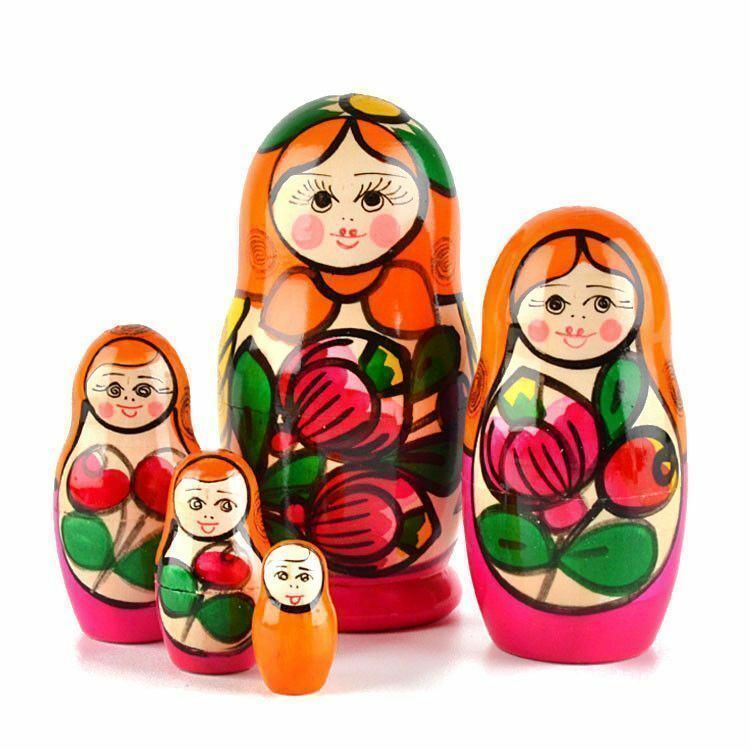 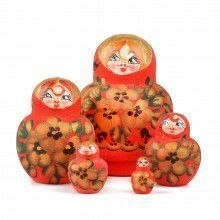 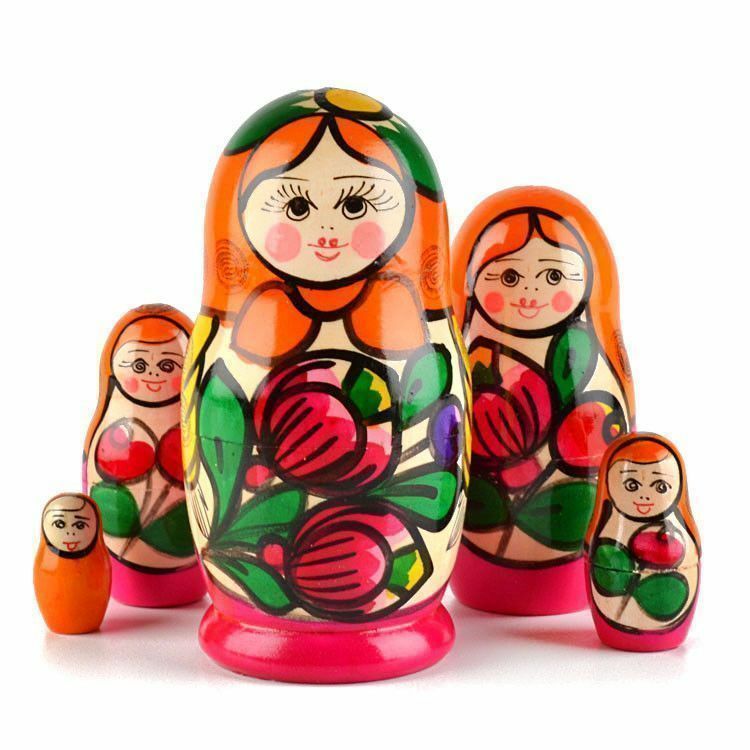 There are a total of 5 dolls in this 4 1/4" tall nesting doll set. 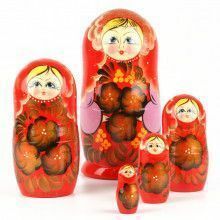 Completely hand-crafted in Russia. 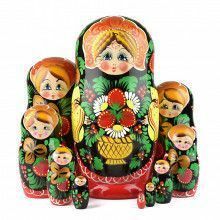 Makes an interesting, conversational art piece decor item to any room or office.